I am called to live and adventurous life. At the end of 2016, I found myself plopped on my bed with my journal in front of me. I was taking an inventory of my life. The inventory wasn't necessarily about achievements or memorable moments or regrets. My time was spent reflecting on how I lived my life that year. The truth was plain and simple: my life lacked adventure. I began to talk avidly about living 2017 adventurously. One of the first things God taught me this year came through the second chapter in Genesis. I am a workaholic who often laments the fact that I don't have enough adventures in life. I was compelled to look all the way back to the very beginning and look at God's initial plan, His blueprints for our existence. In Genesis 2:8-14, the author painted a beautiful picture of the environment in which God placed human beings. In verse 15 he writes, "The Lord God took the man and put him in the Garden of Eden to work it and care of it" (NIV). Work was initially created as something to be enjoyed. People spend a lot of time during and after work hours complaining about the amount of work that still needs to be done. Work is presently a word that has some messed up emotions attached to it. Workaholics view work as an addiction; the work-averse view it as a cruel slave-master. We need to put food on the table! Even reading the word "work" makes us feel exhausted and depleted. In the beginning, work didn't come with a curse. God's idea of work has always been about good stewardship of what belongs to Him. We are created to develop and take care of the world around us- natural and man-made. God's purpose of work comes with the freedom and the encouragement to enjoy the blessings he has provided. It is easy to fall into the trap of viewing our jobs and our work as something contrasting to an adventurous life. Work is boring and considered a burden, while adventures are enjoyable, fun, and exciting. 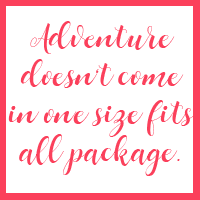 Adventure doesn't come in one size fits all package. Adventures don't always mean traveling the world or trying new activities. 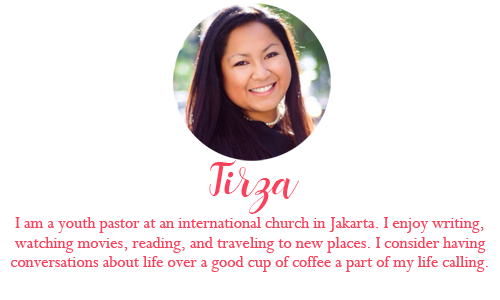 Our work can be an adventure with God as well! If we invite Him to guide us in His way and for His purpose. Our work can be an adventure where we fulfill God's purposes in our lives and enjoy the freedom to take pleasure in the blessings we have been given. How can we view our work as an adventure with God? God has been challenging me to think as a life that is dependent on God and one that dares respond to God's often inexplainable plans with a firm "Yes!" even when we don't quite understand what He's getting at. Going back to the passage in Genesis, it continues saying, "And the Lord commanded the man, 'You are free to eat from any tree in the garden; but you must not eat from the tree of the knowledge of good and evil, for when you eat from it you will certainly die,'" (Genesis 2:16017, NIV). If we look at the episode with Adam and Eve and the incident with the fruit from Genesis 3, we know that they both decided to eat the fruit God placed a restriction on. It is easy for both Adam and Eve to think that the real adventure would come if they eat the forbidden fruit. Our very purposeful and good God must have had a plan for placing the fruit there, and obediently waiting for Him to unveil His marvelous plans would probably lead to the greatest adventure Adam and Eve embark on with God. Trust and obedience of waiting. What if those peculiar items make up an amazing, adventurous life with God? We might be living in a season of waiting, in a season of always having to remind ourselves to trust God's promises in our lives. To trust God's call on our lives. And let's be honest for a second, waiting is hard! It's messy and kind of frustratingly agonizing. However, God is not done with your story yet! Stories of adventure always have a lot of suspense and a lot of uncertainty. It's part of the adventure! What if obediently and trustingly waiting is part of our grand adventure with God? How would we live our lives differently if we know that the waiting and the obedience is part of our adventure with God? I have no clue what will happen in 2017. I don't know what to expect globally, nationally, or personally. A lot might happen. But God is still in control. 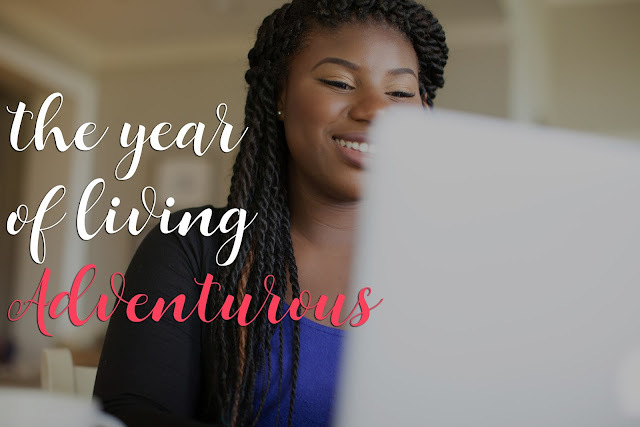 Why don't we dare ourselves this year to live adventurously with God?